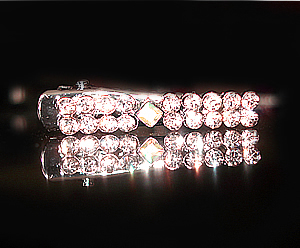 So pretty and sparkly! 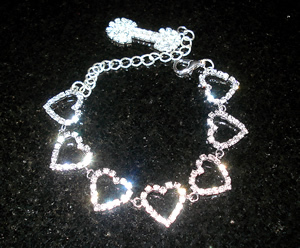 This beautiful necklace is full of bright, sparkling rhinestone hearts and is accented with a dazzling rhinestone bone. Perfect for your little princess! Size: Fits neck size 6 to 7-1/2"